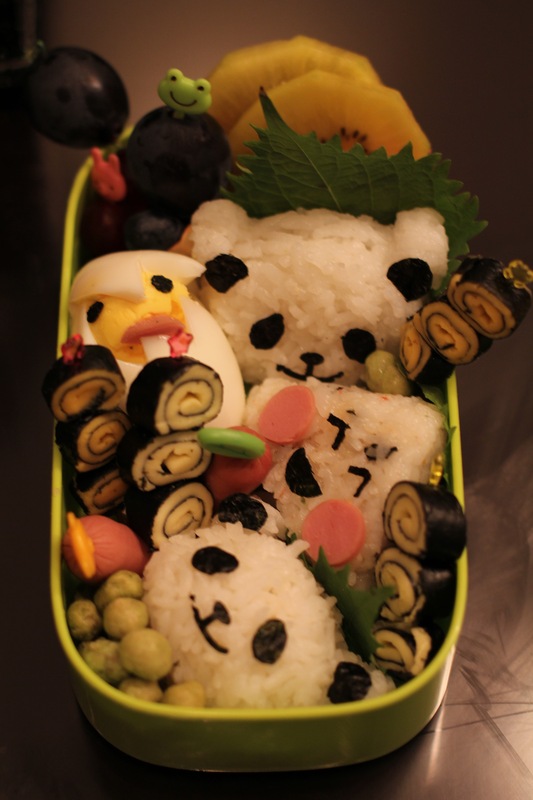 Bento assortment: Pandas and strange creatures galore! 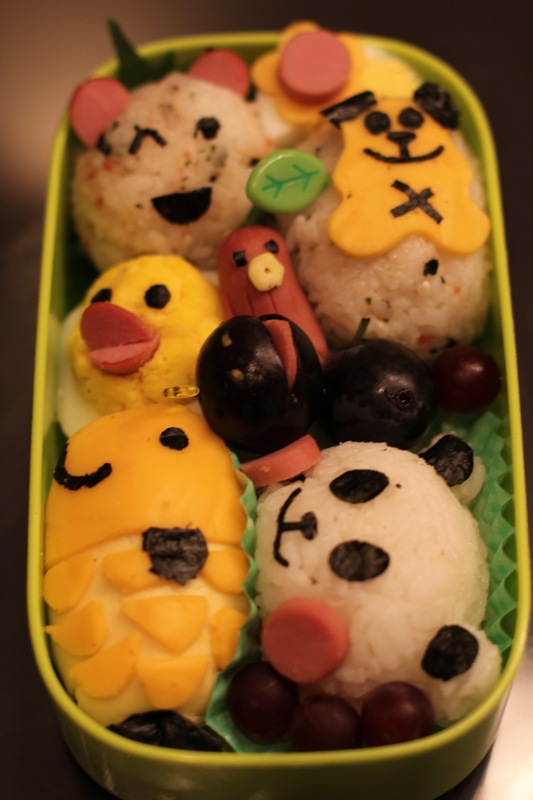 Never knew that bento-making could be made into a fun bonding session with friends 😉 At my age, bonding/get-togethers normally mean just meals or drinks so I was a little apprehensive at first. As it turned out, it was pretty entertaining! This is just a short picture post as there aren’t any instructions… just do whatever you like and go crazy with your food! 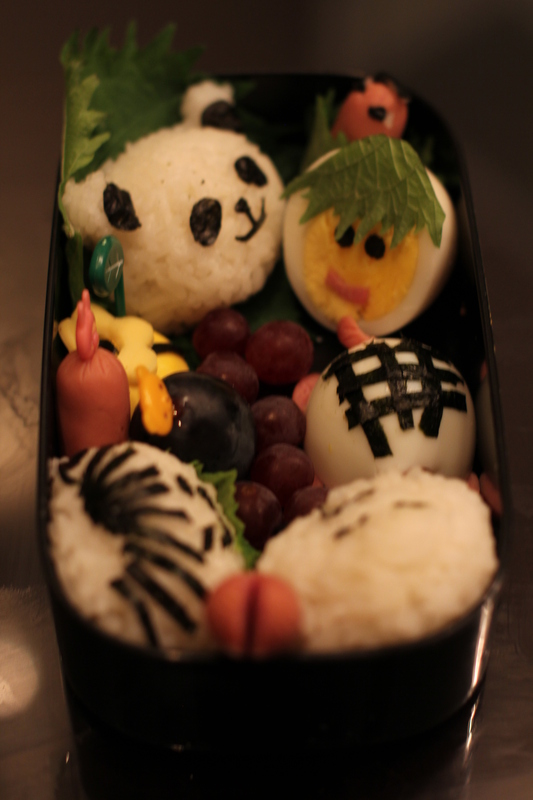 Below are the bentos my two friends came up with. 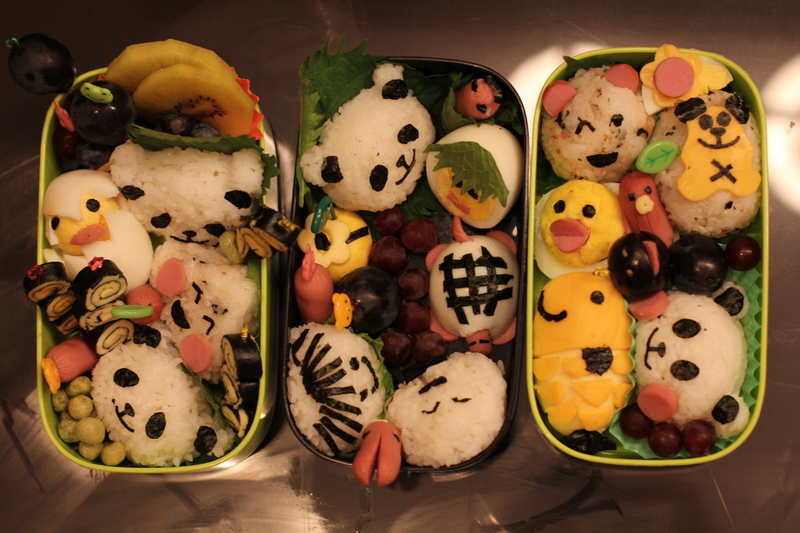 I’m now all revved up to make cuter bentos soon! Its a nice change to seaweed art, but of course I won’t abandon that either. 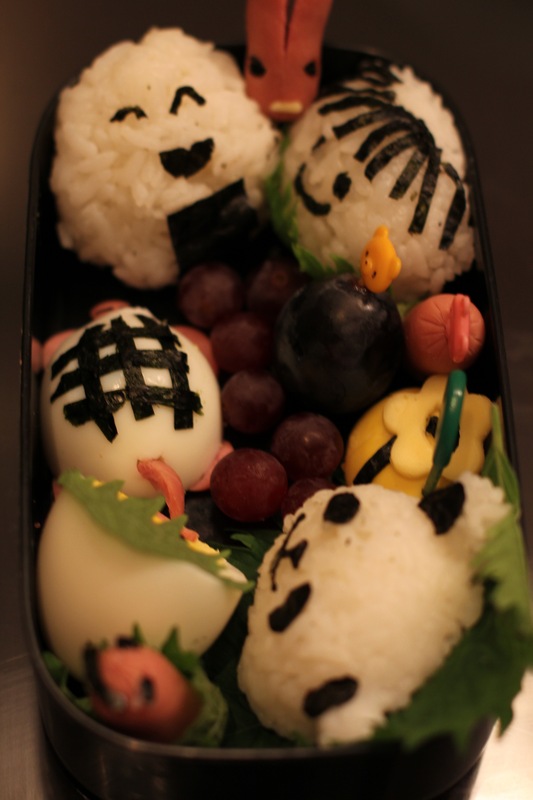 I’ve yet to make Rurouni kenshin bentos! 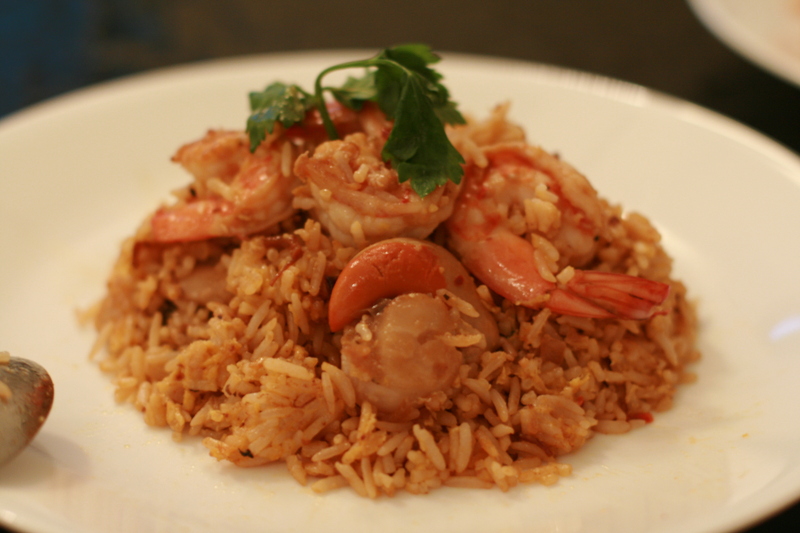 This is one of those quick fixes that can be done with just cooked rice and an egg. 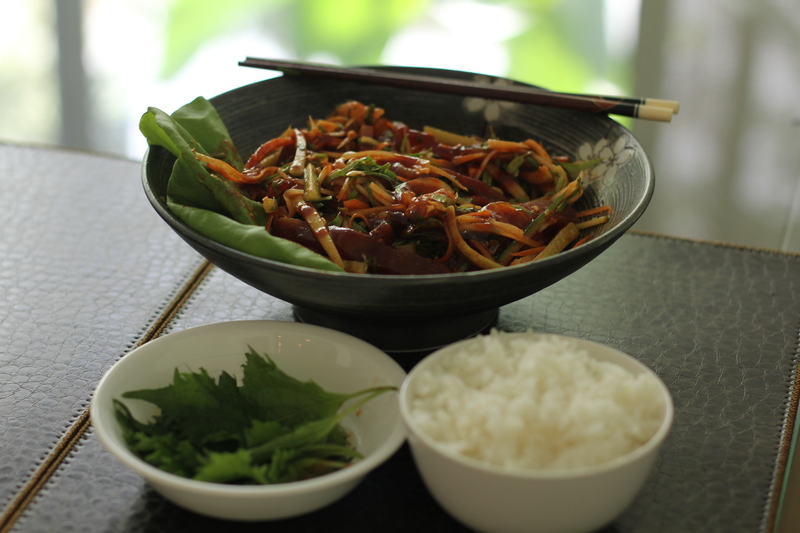 The other ingredients are cupboard ingredients (those that can be stored for a really long time), which is the beauty of this dish really. If you’ve heard of the nabe (hot pots) that Japanese really love, you’d have also heard of them adding rice into the leftover stock once they’re done cooking the rest of the food. They then turn the rice into porridge, and thus, nothing is wasted. 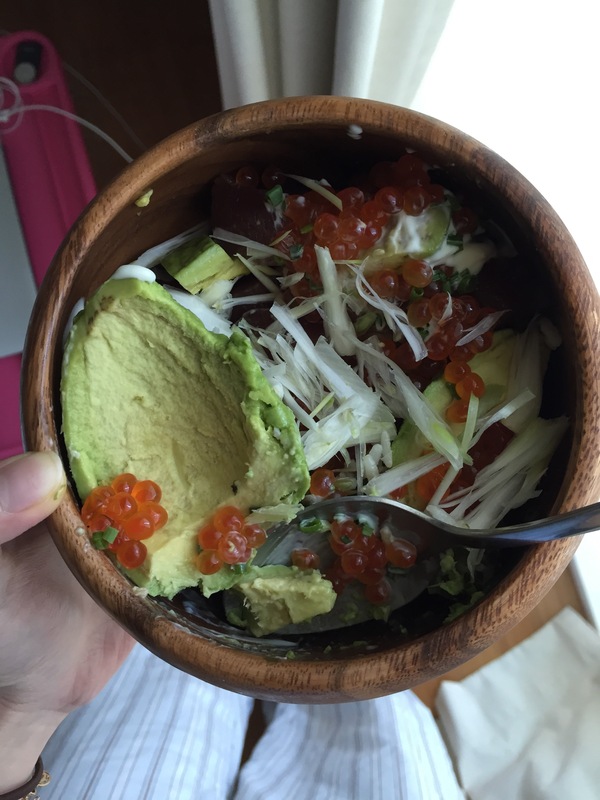 And it is really delicious! 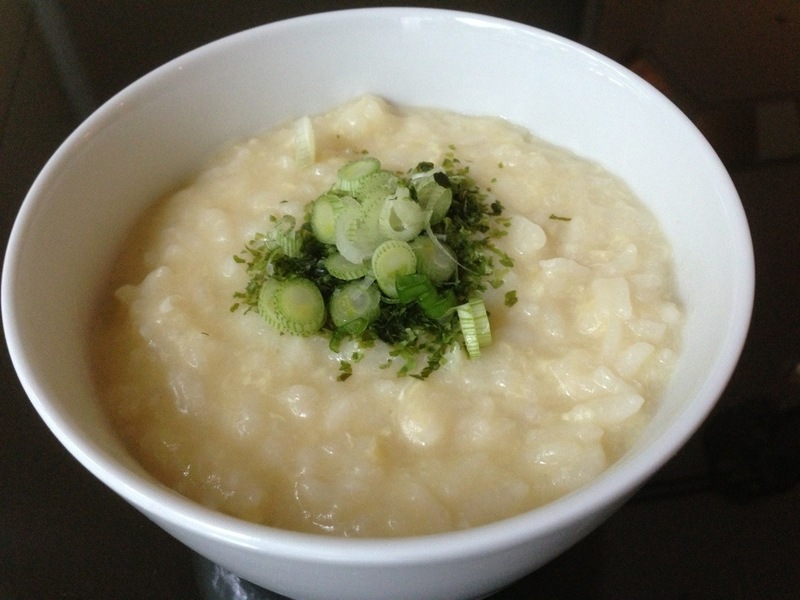 I tried this “zosui” (the Japanese refer to thick rice porridge as zosui/okayu) in Hokkaido after a delicious kani-nabe ( I did NOT just swear at you lol!). Kani means crab, so what we had after the crab hotpot was some delicious stock. 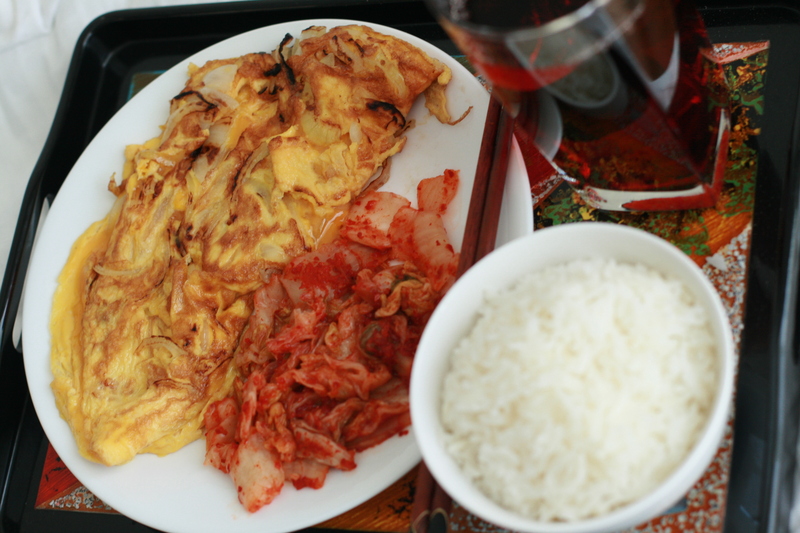 The waitress added more stock to it and then added precooked rice and let it simmer for a while before adding egg. It was the best porridge I’ve had! 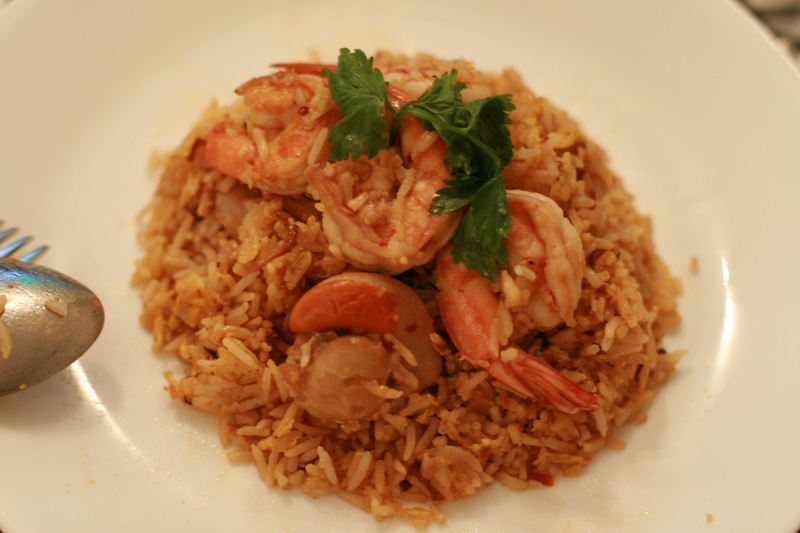 I try to replicate it here the best I can without such expensive ingredients, crabs don’t come cheap in Singapore. I’ve come pretty close to it I think. Pour the dashi, water, mirin and wine into a pot and bring to a simmer. 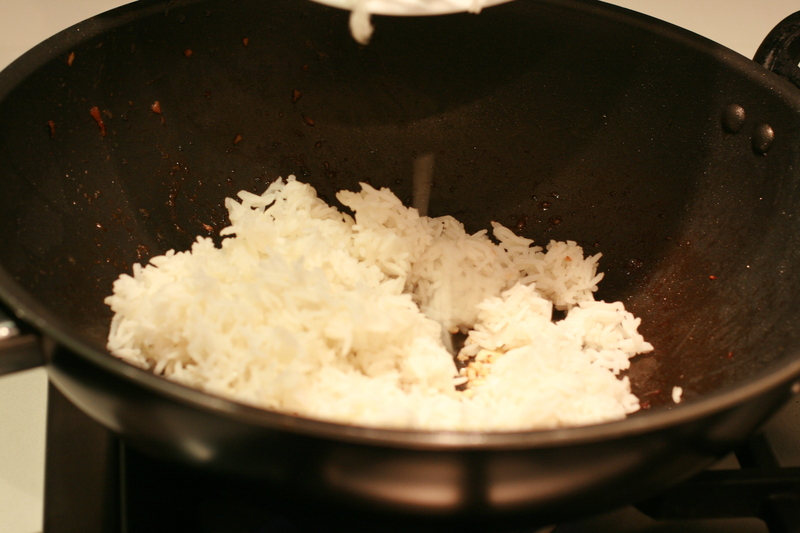 Add the rice and cover the pot with a lid. 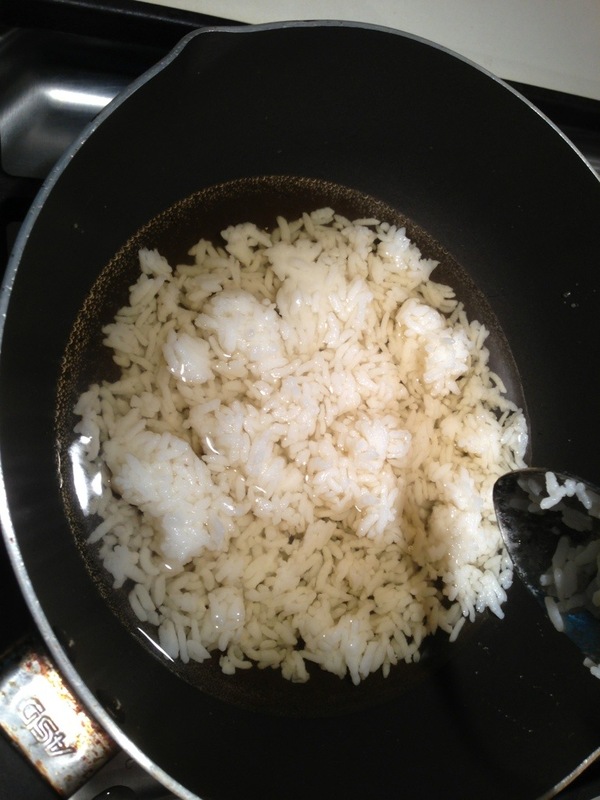 Simmer on medium high heat until the rice softens. 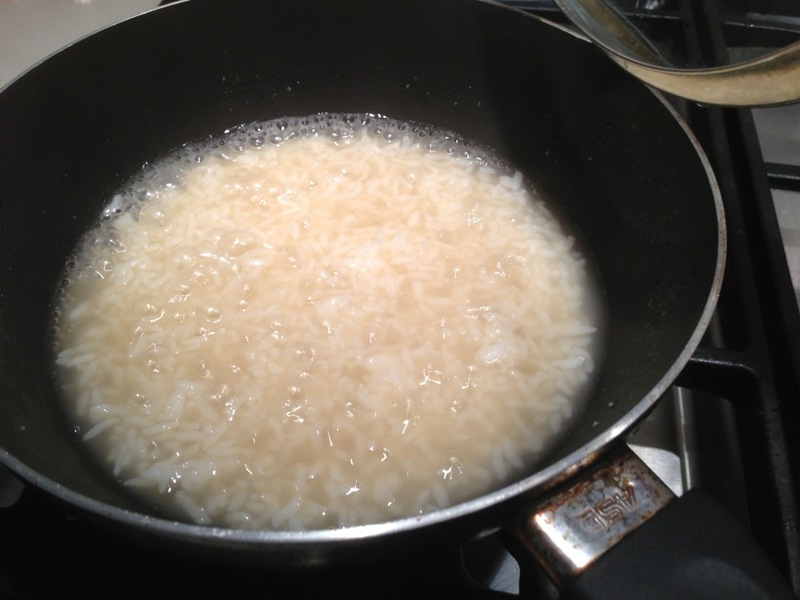 If you prefer really soft rice in the porridge, you could simmer it a little longer, just add some water so it doesnt dry up and stick to the bottom of the pot. 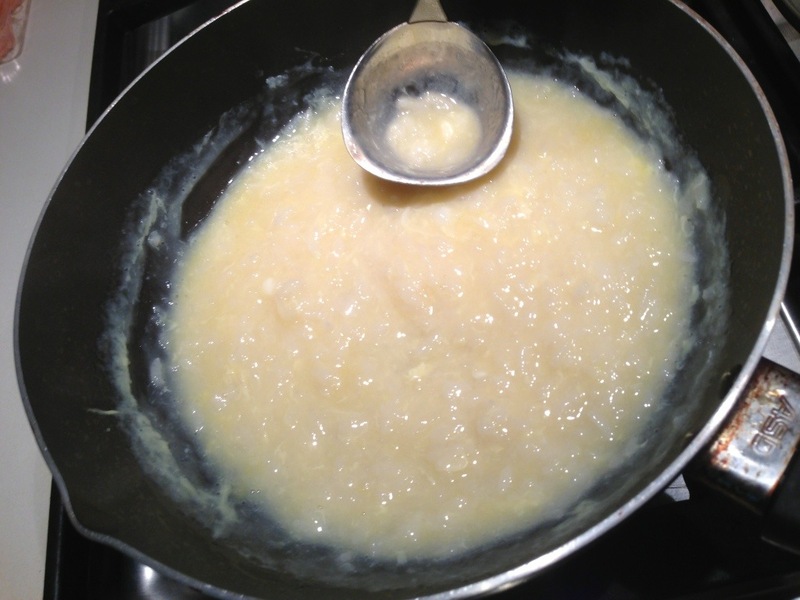 Once you’ve reached your desired consistency, turn off the heat and pour the egg into the centre of the porridge. Work quickly and use the bottom of a ladle to stir the egg round and round until the egg is completely incorporated into the porridge. You want the end result to look creamy. This is the end result of stirring the egg well. 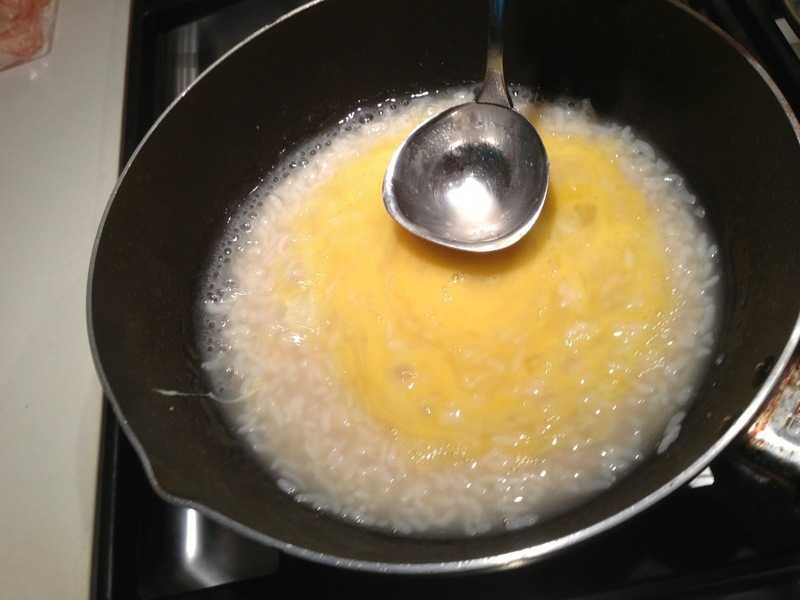 If you let the egg cook before you stir it in, it is going to look like an egg drop soup. Not like it tastes bad either, it just will not be as creamy as the picture below. 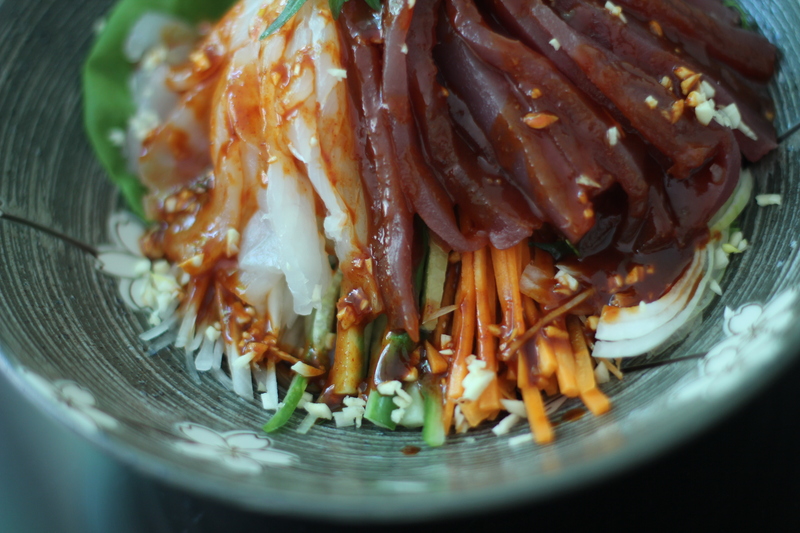 Then ladle it into a bowl and top with spring onions and seaweed. 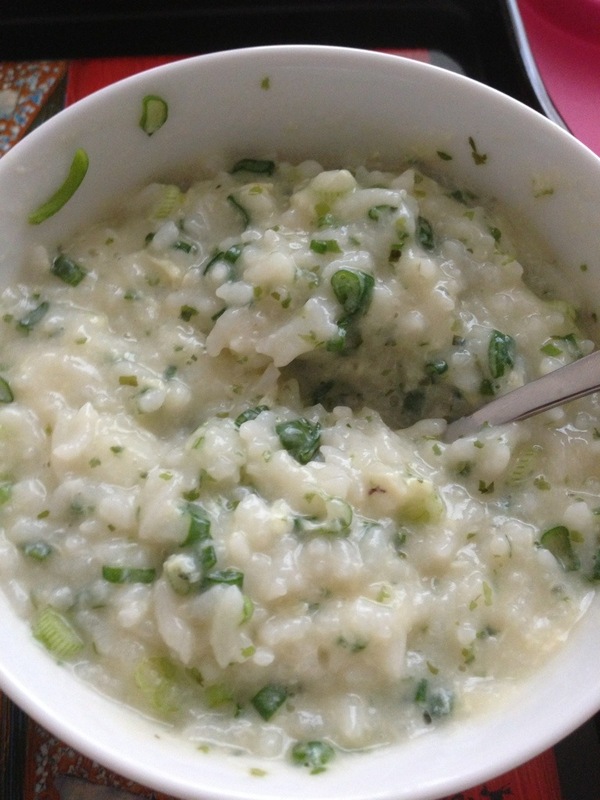 So there it is, creamy Japanese porridge (obviously with zero dairy in it). 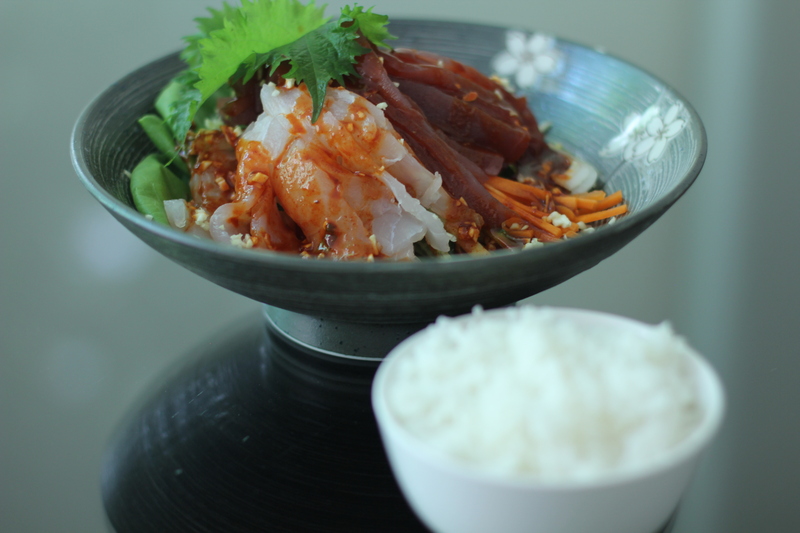 This is a pretty simple dish, at the very least you just need rice, garlic and xo sauce. You can jazz it up with whatever you have in your fridge, be it peas, carrots, corn, leftover meat, bacon etc. which is the beauty of making fried rice. I love mine with egg! 1) Pour just enough oil to cover the bottom of the wok and turn on the fire on medium high heat. 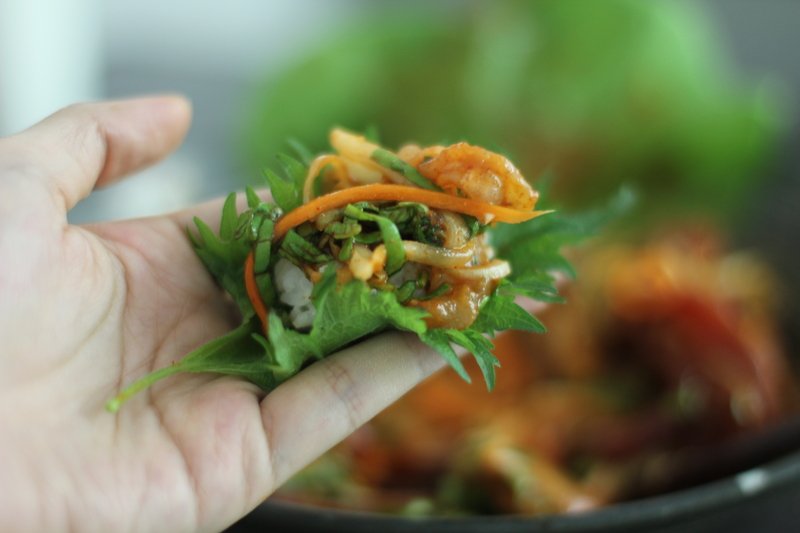 2) When the oil is hot, gently place the seafood (they must be patted dry so the oil doesnt splatter at you) into the wok and let it cook one one side for a minute or so depending on the size of your seafood. 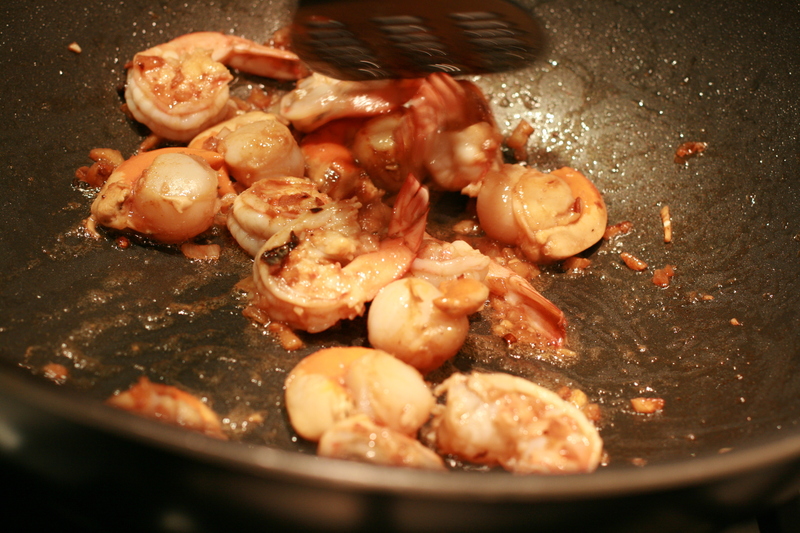 Once the cooked side turns golden brown, flip the seafood over on the other side to finish cooking. At this point, add in a quarter of your minced garlic. If you put it in too early it will burn. 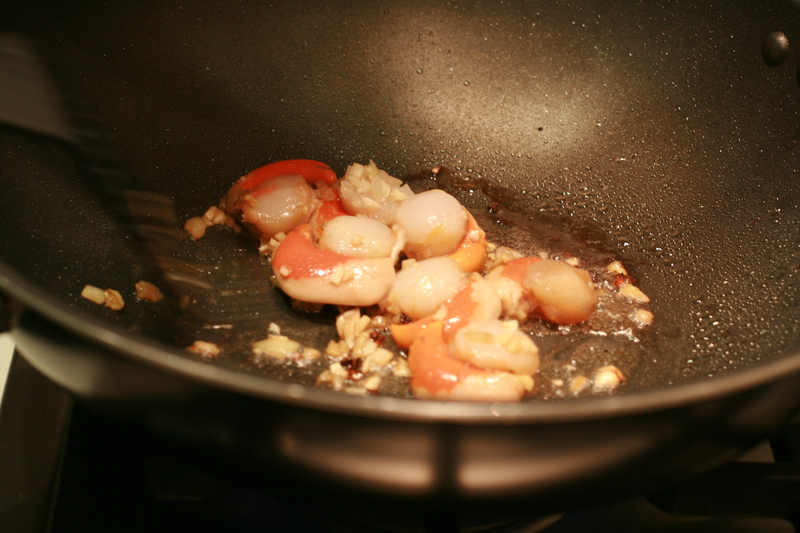 3) Remove cooked seafood from the wok and set aside. 4) Add a little more oil in the same wok and heat it up on medium high heat. 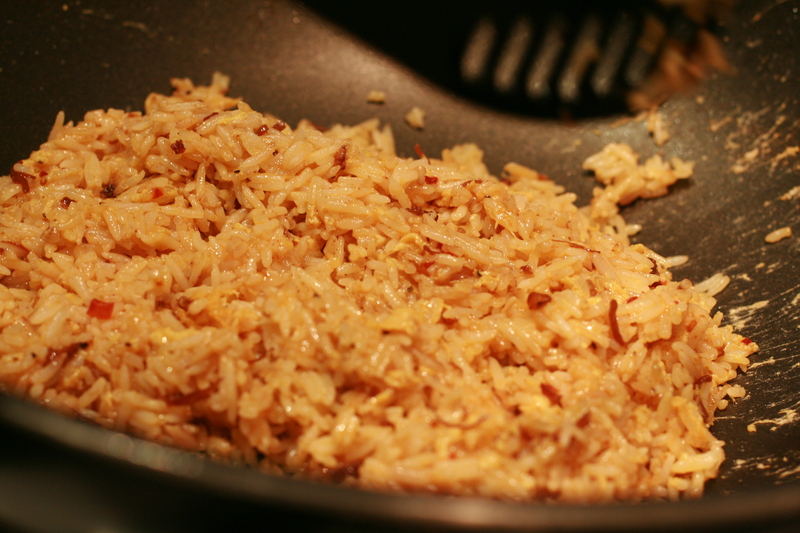 5) Add the rice into the wok, and the XO sauce to the rice. 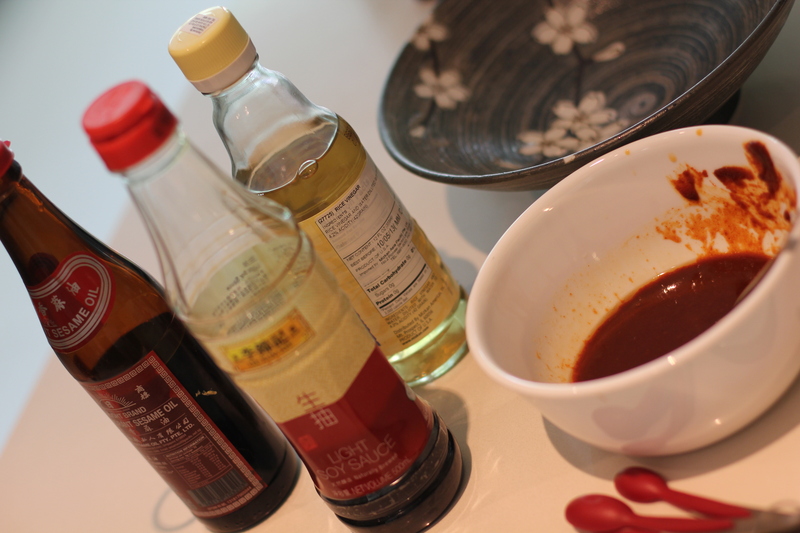 6) Give this a quick stir and toss to incorporate the XO sauce into the rice. 7) Push the rice to the side of the wok, add a little more oil to the wok so that the eggs that you are going to pour in doesn’t stick to the surface of the wok. 8) When the oil is hot enough (but don’t leave it too long as the rice may burn at the side, I like my rice soft, not burnt and chewy), add the eggs and let the eggs cook partially before breaking it up and mixing it with the rice. 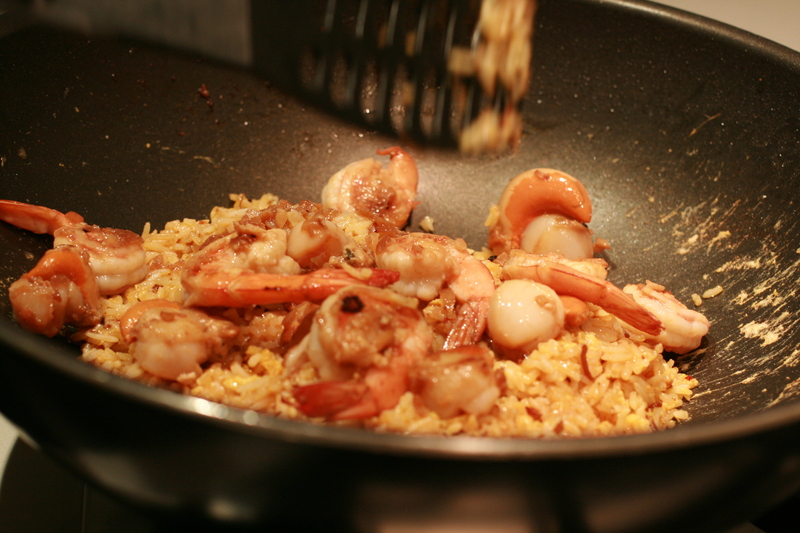 9) Pour the seafood back into the wok and give it a few tosses . 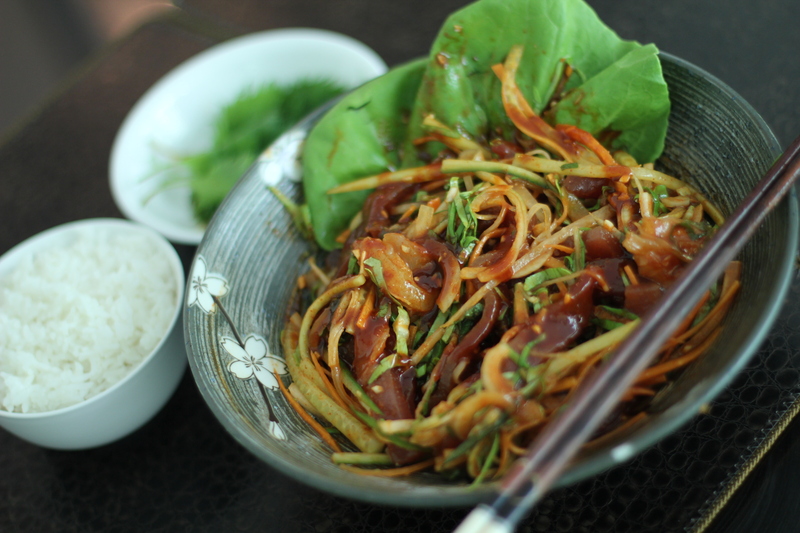 10) Serve with spring onions or cilantro/chinese parsley. Oyakodon is a Japanese dish consisting of chicken and onions simmered in a dashi broth with eggs lusciously and carelessly drizzled over the whole mixture. The eggs should be silky smooth and the chicken tender and juicy. 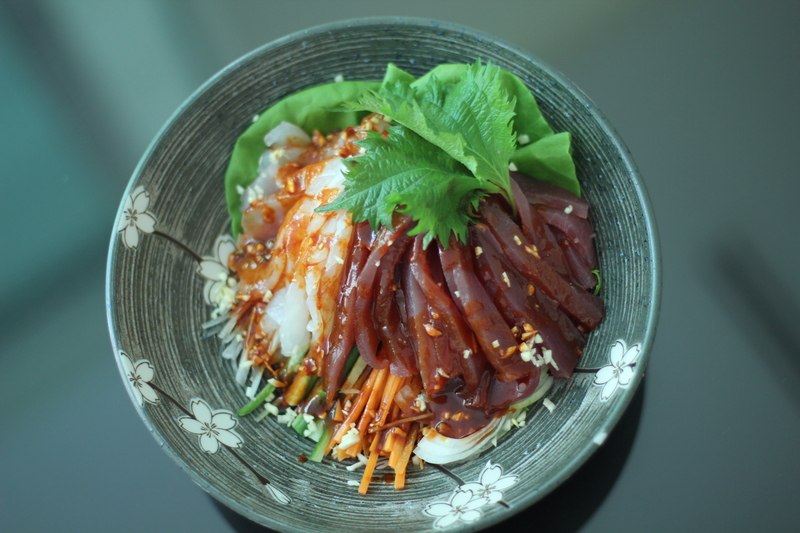 It is also called the “Parent and child” donburi (donburi = a sort of Japanese rice dish in a bowl) for obvious reasons; the egg and the chicken. 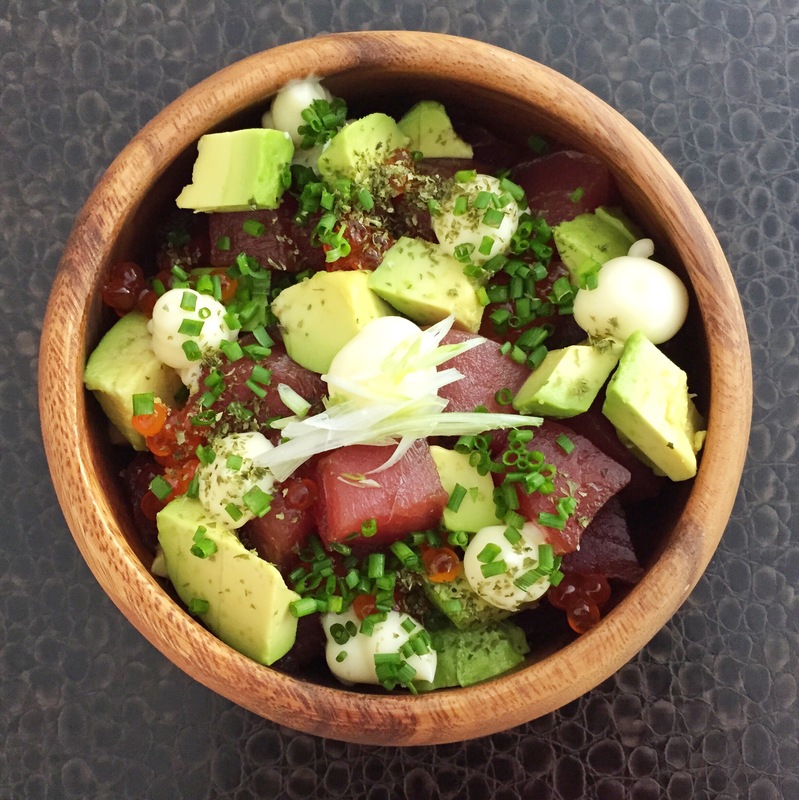 My brother loves this dish and always orders it at restaurants but it is pretty easy to make once you’ve gotten the hang of it. I tend to mess this recipe up when cooking for many people but it’s easy cooking for one or two people at a time. 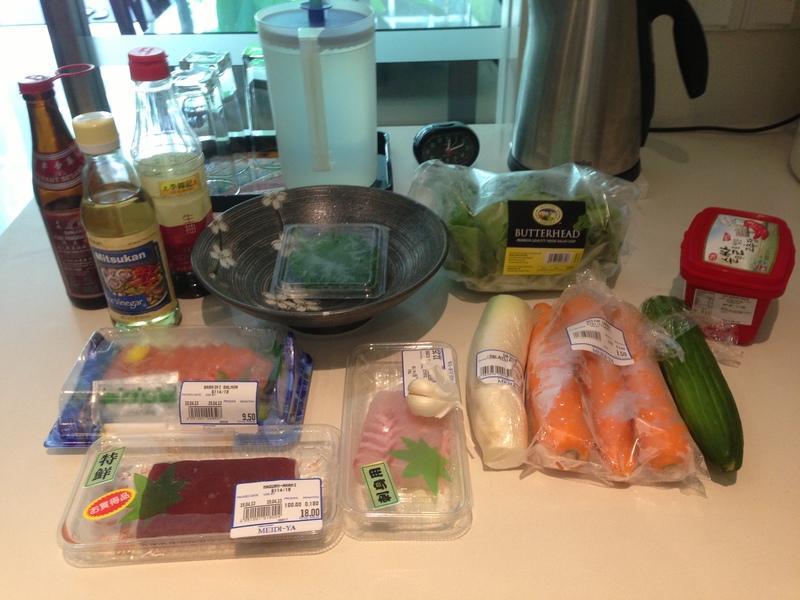 It’s healthy, no frying or oil in sight, thus no stinking up the kitchen (or my hair =D) while cooking. And it’s got eggs and onions, my favourite combination! 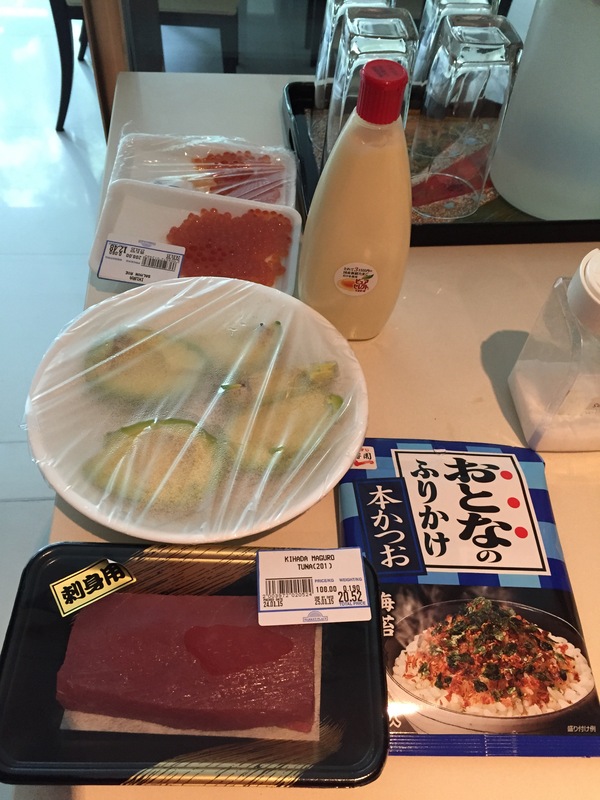 It’s the ultimate Japanese comfort food for me. 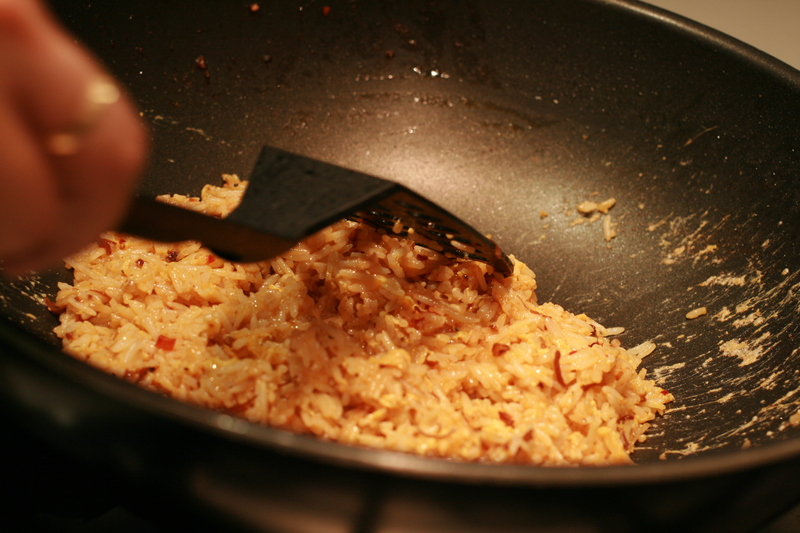 Your rice must be already cooked and warm as you will ladle the chicken and egg mixture directly on top of the rice. Crack your eggs into a separate bowl. Use a chopstick to break up the egg whites so that they separate easily. Gently break the yolk and give it a stir so its slightly mixed but not incorporated with the whites When you pour in the eggs to cook you want to have some distinct white pieces and yellow bits from the eggs. Don’t scramble the eggs. Get a small saucepan ready, it shouldn’t be too big as we want the dashi/sake mixture to cover half of the onions and chicken. Add about 3/4 cup of dashi and 1/4 cup of water to the saucepan. 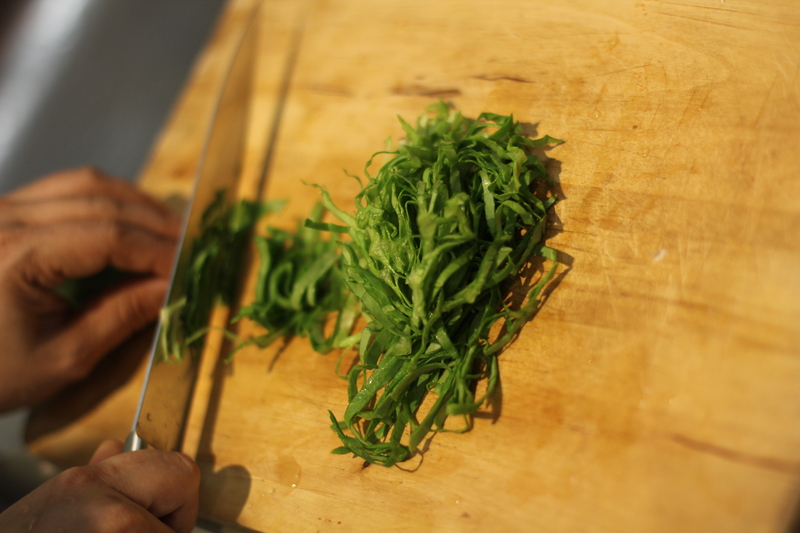 Taste your dashi sauce before cooking. 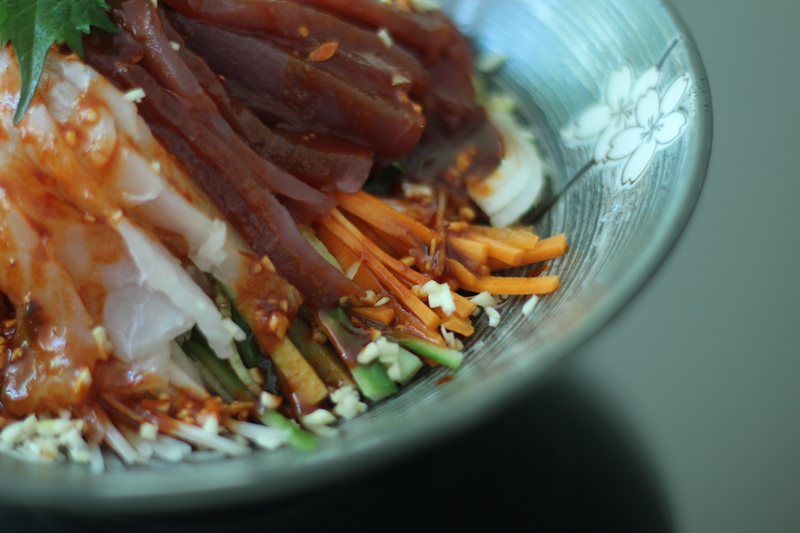 You may want to make fresh dashi from scratch, by all means do but I’m too lazy! This brand of dashi that I’m using already has soy sauce in it so it’s salty. 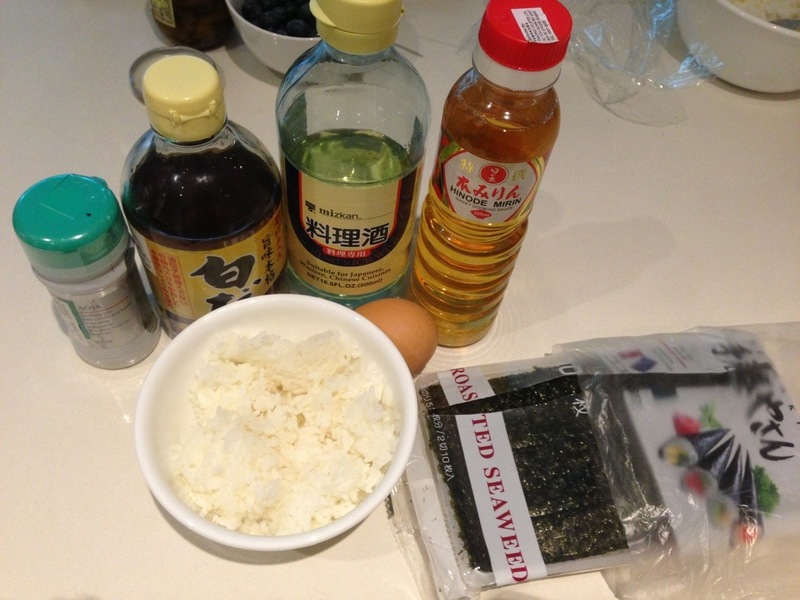 Add 3 capfuls each of mirin and sake and half a tablespoon of sugar. Taste the mixture and adjust dashi, sugar or water content. Remember it has to be a bit salty as it will form the sauce for your rice. 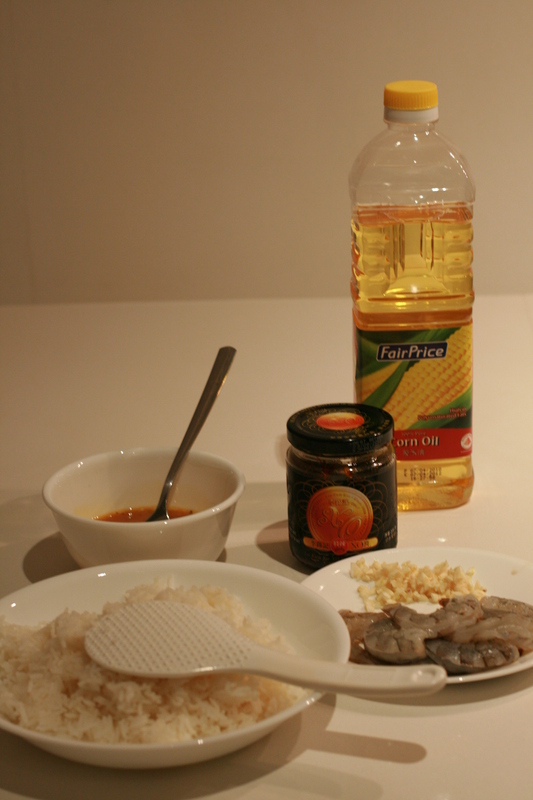 I forgot about that at one time and made the dashi mixture nice on its own but too bland when put together on the rice. Heat up the dashi on medium high heat and add onions. Again remember that the dashi mixture has to cover up to half of the chicken and onions. Cover until onions are slightly translucent. Add chicken bits evenly throughout the pan and try to avoid overcrowding. Cover for 1 minute. Uncover and turn the chicken chunks over to cook on the other side. Cover for 1 more minute. At this point, pour half of the eggs in the bowl over the chicken and onions. Make sure the eggs are evenly distributed throughout the pan. Cover for 10 seconds til partially cooked but still runny. You could cook it further if you prefer your eggs cooked through. Pour the rest of the eggs evenly into the pan. Switch to high heat for 1-2 seconds and turn off the heat, covering entire mixture, and let stand for half a minute. Ladle your rice into a bowl and spoon the chicken and egg mixture on top carefully so as to keep the shape of the eggs chunky and silky. 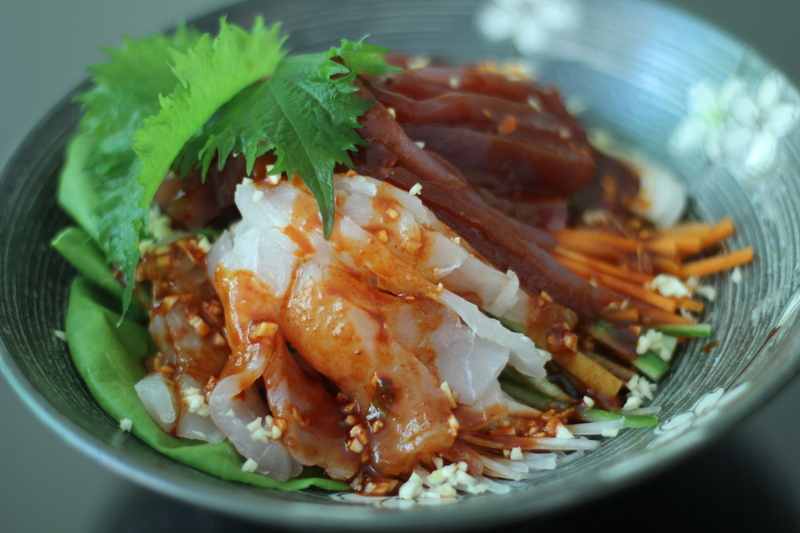 Top the whole bowl with shreds or slice of raw Japanese leek which lends a crunchy accent and spicy punch to this sweetish savoury chicken dish. Today was one of those days where I just wanted something easy to prepare, something along the lines of hot food and a savory meal. 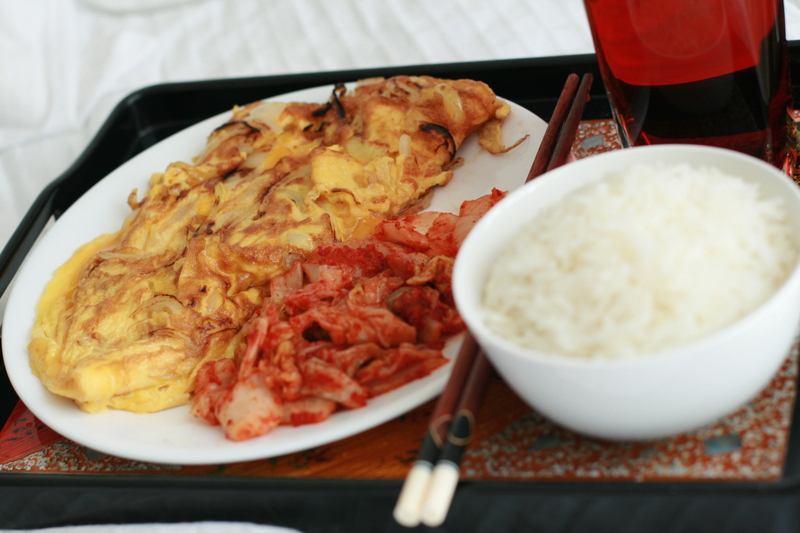 All I needed to do was to cook some rice in my trusty rice cooker, fry up some onions and egg and then throw some kimchi into the mix. 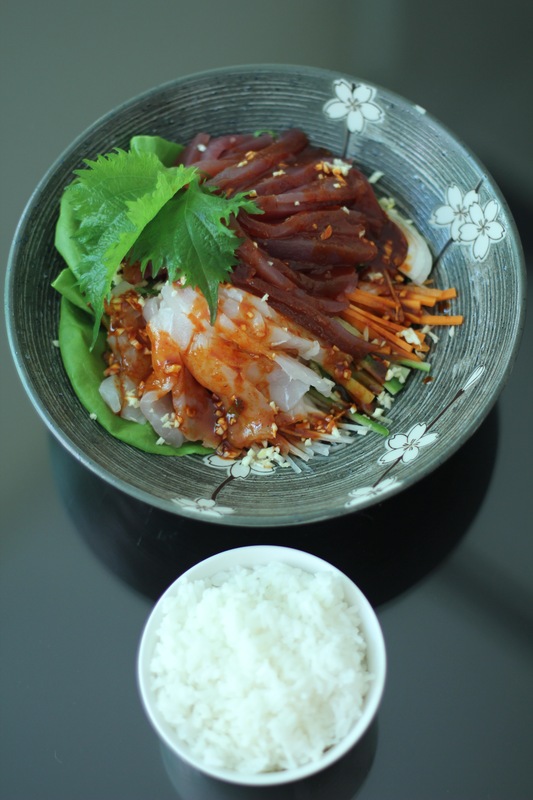 Nothing complicated as to the ingredients, fry up some sliced onions from about 1/2 a green onion, then add 3 eggs beaten with some salt, white pepper and a couple of drops of sesame oil. 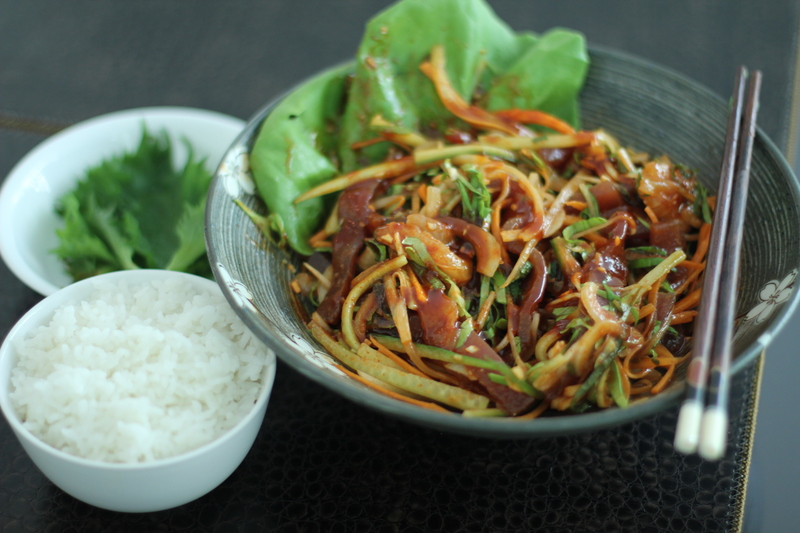 Cook to your desired doneness and eat with that deliciously fluffy rice and crunchy sour kimchi.